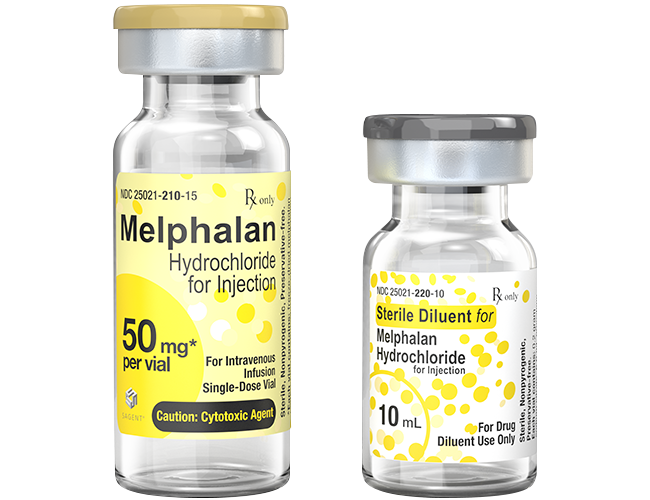 Please see full prescribing and safety information, including boxed warning, for MELPHALAN single-dose vials. 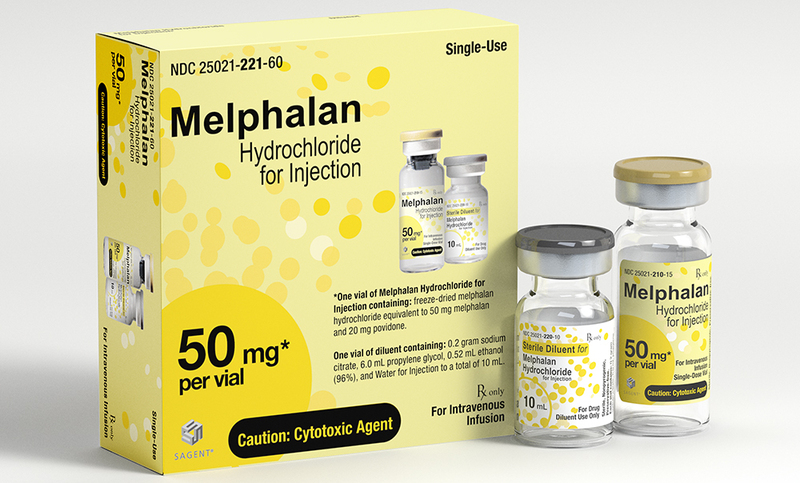 Melphalan Hydrochloride for Injection should be administered under the supervision of a qualified physician experienced in the use of cancer chemotherapeutic agents. Severe bone marrow suppression with resulting infection or bleeding may occur. Controlled trials comparing intravenous (IV) to oral melphalan have shown more myelosuppression with the IV formulation. Hypersensitivity reactions, including anaphylaxis, have occurred in approximately 2% of patients who received the IV formulation. Melphalan is leukemogenic in humans. Melphalan produces chromosomal aberrations in vitro and in vivo and, therefore, should be considered potentially mutagenic in humans.